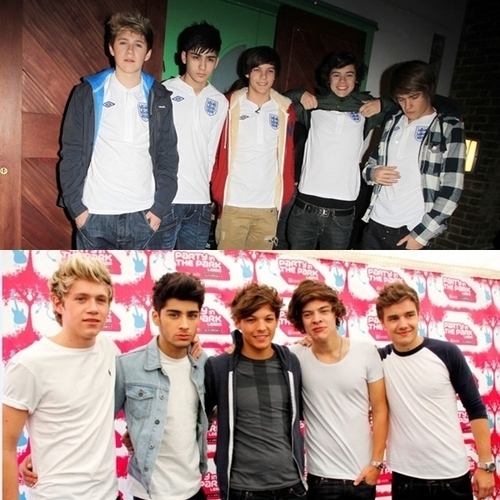 Before and After♥. . Wallpaper and background images in the একমুখী club tagged: one direction ♥. This একমুখী photo contains অবসর পরিধান. There might also be কাজের পোশাক, playsuit, outerwear, and overclothes.